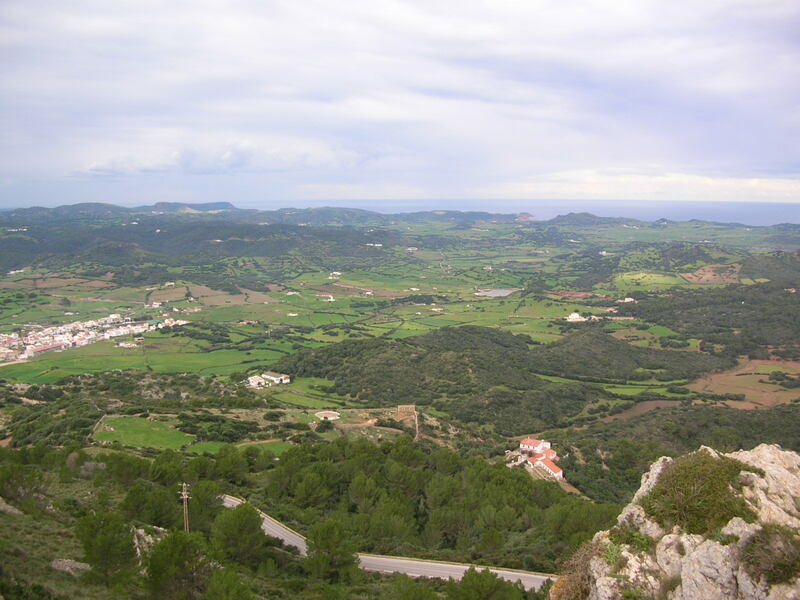 The countryside is a mosaic of fields which Menorca has conserved over millennia and is the key to conservation. 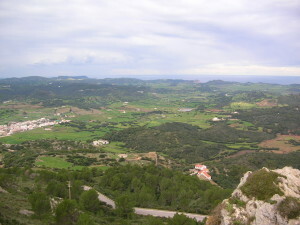 The combination of the mosaic of cultivated fields, with spaces of wild vegetation, accompanied by large intersecting dry stone walls that also give provision to much animal life and vegetation, was one of the factors for the decisive declaration of the Island as a Reserve of the Biosphere. Menorca is the result of the interaction of the human species, for at least 4000 years, with the primeval island that its first people found. It has not been a virgin area since then as it has been largely transformed by human hand. The countryside which we see today is the result of applied cultivation to nature. The inherited activity of farming has altered the land most of all. Either for feeding flocks, for producing foods directly or by looking for resources from the woods, this agrarian management is responsible for the legacy which we have received. During the last forty years, the intensity of this management has been strongly compatible with the conservation of high biodiversity and so has shaped the countryside that gives pleasure to many people. Human and animal cohabitation have been constricted for so long that now the large number of animals and plants we find depends to a large extent on the maintenance of an adequate agrarian management. Where there is responsible management, we find many insects and seeds which feed the small mammals and birds and they in turn contribute to maintain all the richness of the food web formed by wild life. Even today, farming affects more than 70% of Menorcan land with the object of producing food. But it does not always keep to the values such as those cited above. Many farmers are just abandoning their work because they cannot find a way in which they can survive in an economic climate which has changed so much. When farming is left unmanaged on land such as ours, wild plants, bushes and trees suddenly appear, making the countryside more wooded and, also, agreeable to look at. The woods help to preserve the fertility of the land, but they do not give shelter to such a diversity of species which then become more homogeneous. What sometimes happens is that in trying to find the largest and short term economic benefit, intensive farming practices take place. 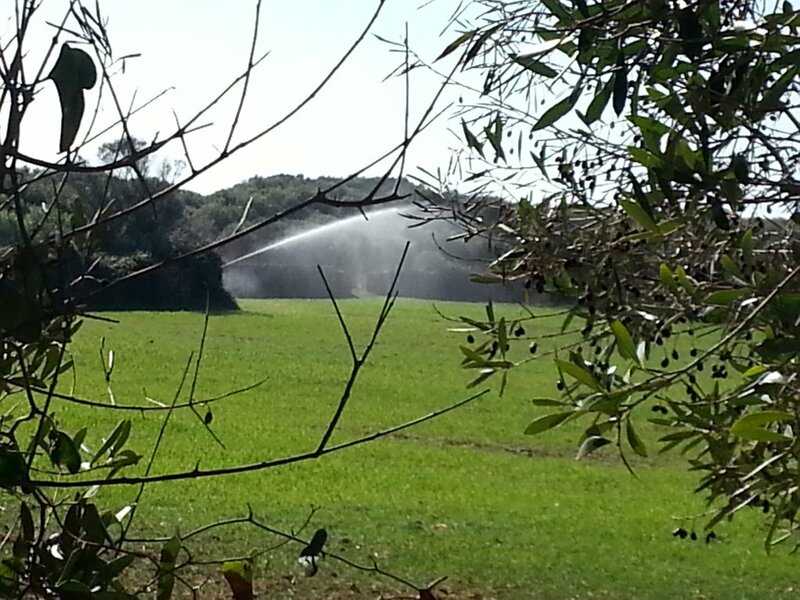 Large irrigation systems usually appear – using up water from the shrinking subterranean aquifers; pesticides are used – that poison the food chain. Intensive farming causes a loss to the countryside mosaic by making larger fields for cultivation; and a decrease in the wild life results. So we need to keep agrarian activity but look for a method to maintain its management in such a way that it can be economically viable and which, at the same time is, not excessively intensive so losing sight of community benefits. 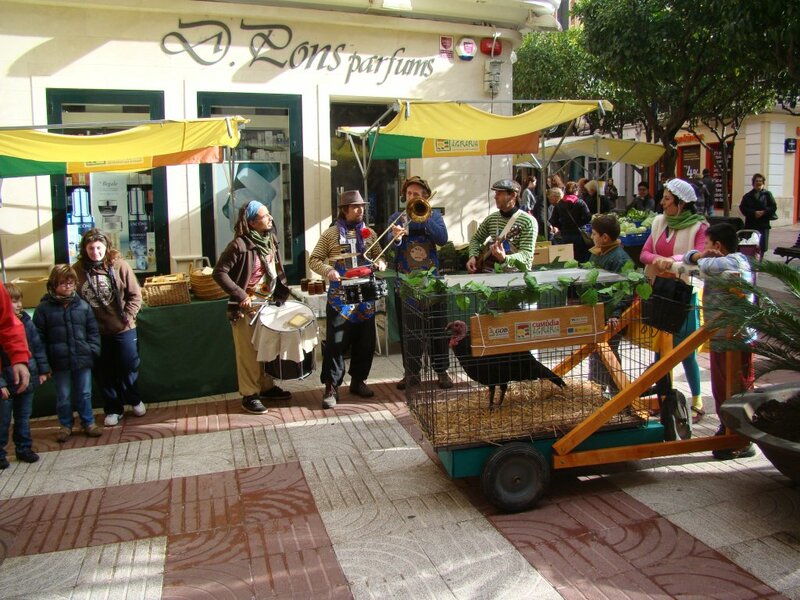 The good news is that there are examples of farmers that have managed to find suitable places as well as a good methodology and now they can have a greater quality of life than before. The search for this ethical method of farming is the central object of the agreements for the care of the land that GOB signs with the farm producers. 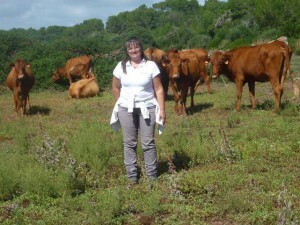 It has the aim of going on to create a network of agronatural farms that serves to work by example. It also aims to have the ability for the farmers to work together to guarantee that Menorca continues to have a living farming sector with the added value of environmental conservation. This Land Stewardship Scheme comes after sufficient conversations with each farmer about his or her achievements and the confirmation of sharing a vision of the future that we want to follow. It is a pact of mutual help, where a plan of measures is agreed upon and where each party tries to make the most of every opportunity. The Land Stewardship Scheme works to involve all the private representatives of sustainability. 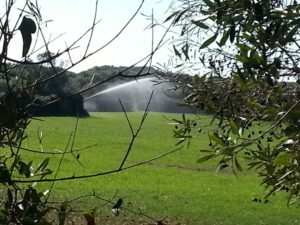 Owners and managers of the farms, current or potential, can involve themselves in responsible management of their land and follow the help from different sides of the community, according to the agreements. 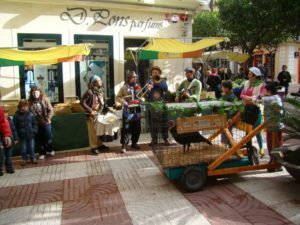 It deals with a methodology of coordination by means of following the voluntary agreements after a process of dialogue. 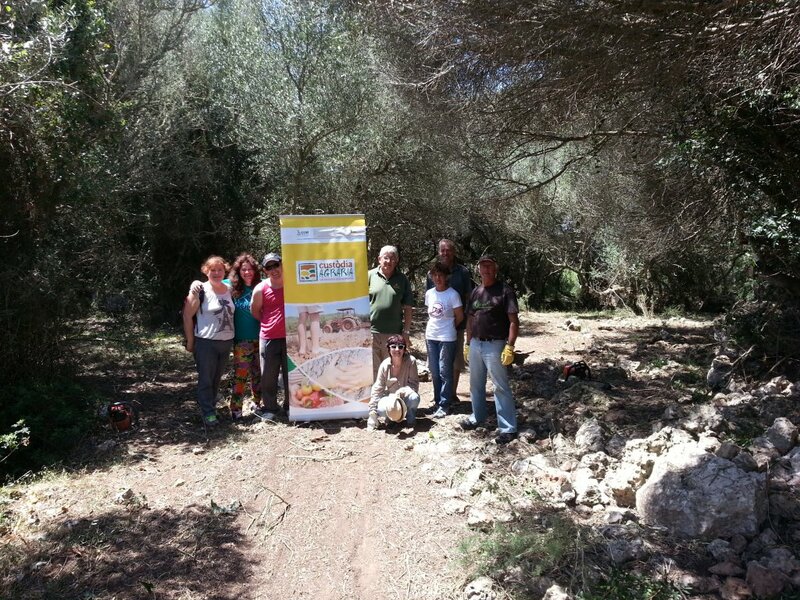 Conservation of the countryside, the positive effects on biodiversity and the environmental services derived from the farms with Land Stewardship agreements, translate into a valuable community recognition, by the promotion of different products, in voluntary help, the training and exchange of experiences, new commercial systems … that is to say, in many social alliances, which can be joined with the public initiatives to succeed in regaining the maintenance of the coastal farming areas. The final object is to find the consequences of a social sustainability, environmental and economic, for these farming activities, in a way that they can be sustained by their own market forces. Environmental challenges: we need to deal directly with land degradation and the homogenisation of the countryside. We need to find ways of management strategies that allow recovering the multiple functions of the farming sector for maintaining permanent biodiversity, for good conditions of both land and aquatic ecosystems. Cultural challenges: we need to avoid the loss of ethnological components and recover their use whenever possible; enhance the status of women in rural culture; and halt the loss of agrobiodiversity (ancient breeds, local varieties). Social challenges: we need to increase the social prestige of the farming sector based on a commitment of responsible management of the land, the improvement of working conditions and the sponsorship of new employment opportunities for the young in agriculture and stockbreeding. Economic challenges: we need to make farming profitable so as to reduce the amount of non-productive land; look for a redeployment of farming methods for mechanisation so as to reduce costs; promote marketing channels with the highest profit margins; find new niche markets for produce of farms with Land Stewardship Schemes. What strategies have we set out? Encourage taking up Land Stewardship Schemes so that the area of well managed countryside will increase. It means making voluntary agreements between farms that have signed up to these schemes so that commitments of mutual help can be established. Organise training days. These include different events to learn the experiences and projects of all involved, especially those concerned with the relationship between farming and the environment, an important alliance in finding new opportunities of the farming sector. Promote the products of the Land Stewardship Scheme. Publicise and promote the farm products for commercialisation of those with Land Stewardship Schemes so as to make the farms economically viable. 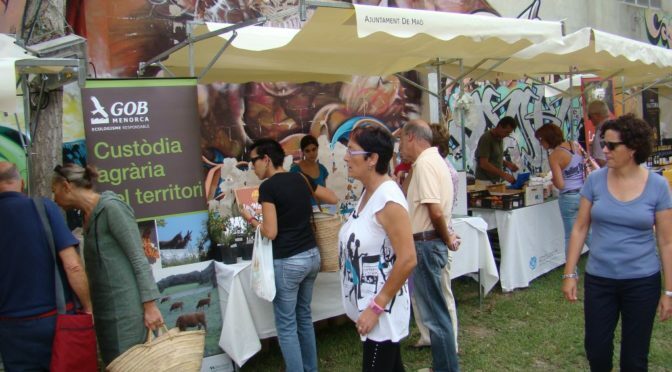 Take part in fairs and markets of the area, organize product tastings and promotions for the public. These are some of the strategies used. Organise volunteer days. The involvement of the general public in the project is fundamental and with volunteer days it is possible to give help direct to those farms recognising responsible land management in their work. Promote and advertise the Land Stewardship Scheme. 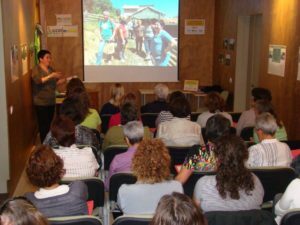 Through different events both within and beyond the farms, create awareness about the care of the land and explain the social roles of the farm managers and with especial emphasis on those of women. Help with sustainable management of the farms. By having a series of planned activities to help improve farm management and make the surroundings and landscape better. Restore water troughs; install nesting boxes; help pollination on farms and get rid of junk. These are just a few of the ideas. Evaluate the environmental effects resulting from the agreement. It is planned to make inventories of the natural resources of the farms with Land Stewardship Schemes to be able to ascertain the environmental effects from the measures agreed with the farms.